This course intends to question when to stop a clinical trial considering clinical, economic and also ethical concerns. On one hand, to continue a clinical trial aiming to obtain full information on the main clinical variables can be desirable from a clinical point of view, but can be economic and time consuming or even unethical for patients not treated with the experimental intervention. 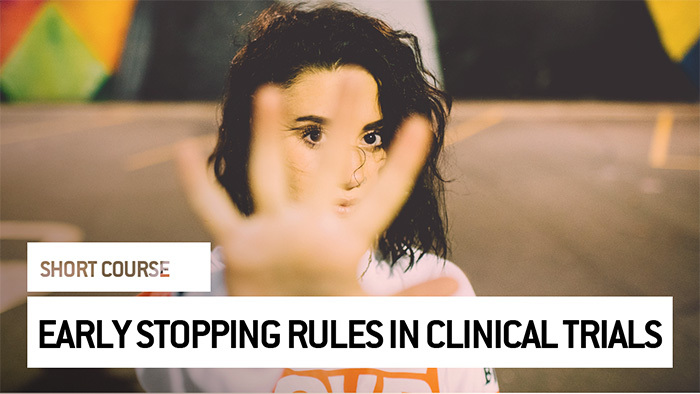 On the other hand, early stopping of a trial at interim analysis can raise concerns about the possibility of missing information on some benefit and harm variables and to overestimate treatment effects. At the end of this course, you will be familiar with some early stopping rules in order to understand how to minimise the limitations of this strategy.